Image taken and owned by Mademoiselle Meme. Originally Published: June 16, 2017. Updated: May 17, 2018. 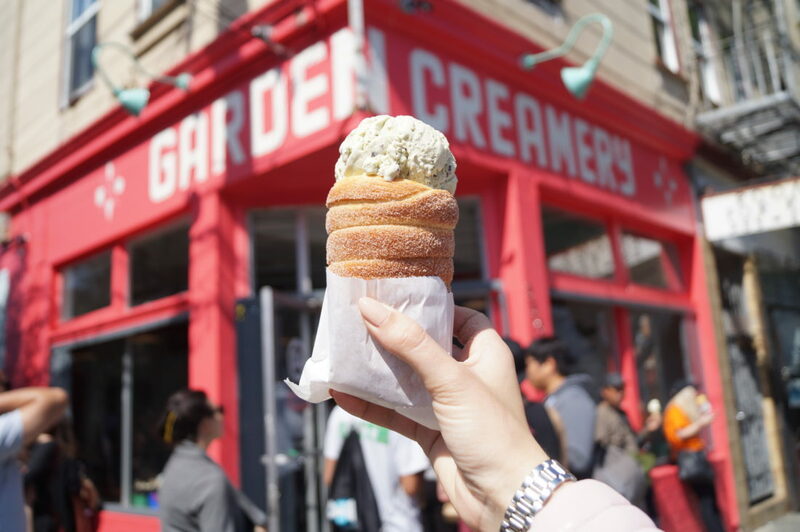 With just under nine months of living in Northern California, we have accumulated a list of our favorite places to eat in the Bay Area region, like San Francisco. The Bay Area, with some of the richest soil in the nation, offers superior culinary experiences as a result of its local high quality produce and “go organic” culture. Many restaurants in San Francisco serve farm-to-table menus because of the abundance of produce and meats available from the fertile Bay Area farms. The ever-present hippie culture of going green and protecting the earth does wonders for the food scene, granting a purity to the food. Considerations to helping the environment through recycling programs, initiatives to stop global warming, and pollution prevention organizations, has added to the foundations essential to protecting agriculture. The Bay Area also has some of the cleanest water, which only compliments the taste of the food, even if in the simplest of dishes. Though this list is nowhere near comprehensive, we can’t help but share some of the great finds from our many visits to this historic California city. Here are some spots to dine at in San Francisco. Check out our favorite Palo Alto/Stanford Eats list here and read about SF’s newest food hall here.